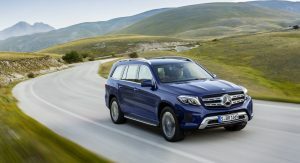 It’s renovation time for Mercedes’ GL that has been modestly facelifted inside and out and renamed to GLS to confirm its “position as the S-Class among SUVs”. 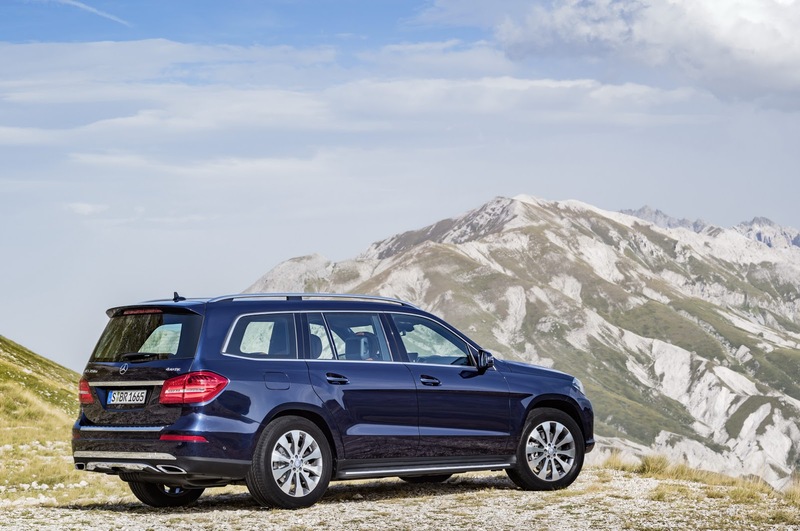 We’d say Benz’s claim is a bit of a stretch, as in reality, the GL with or without the ‘S’ in its name, is more like the…E-Class Wagon of SUVs. 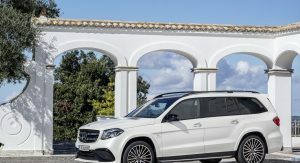 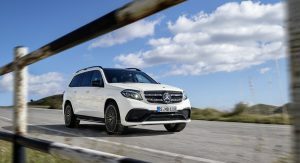 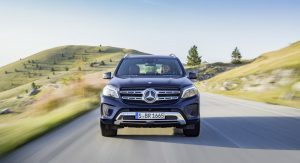 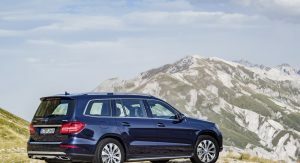 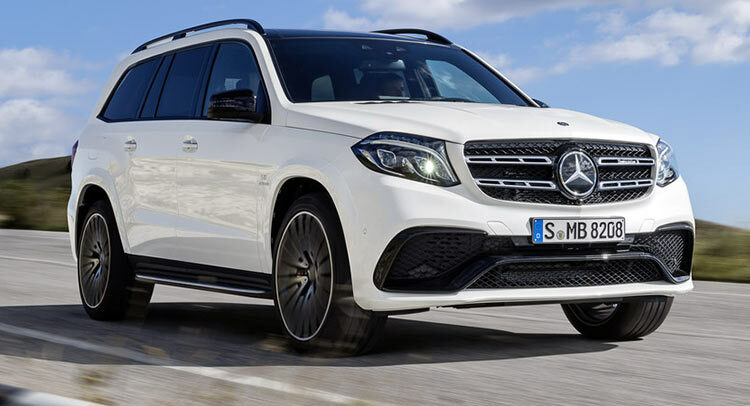 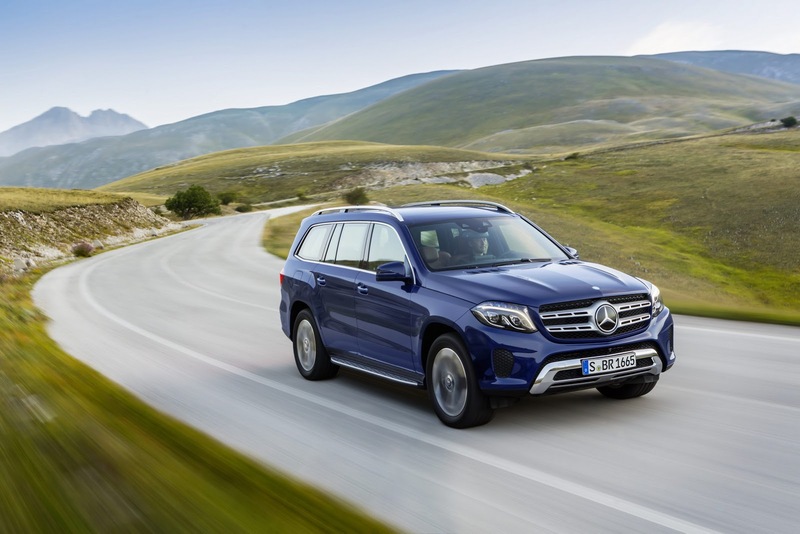 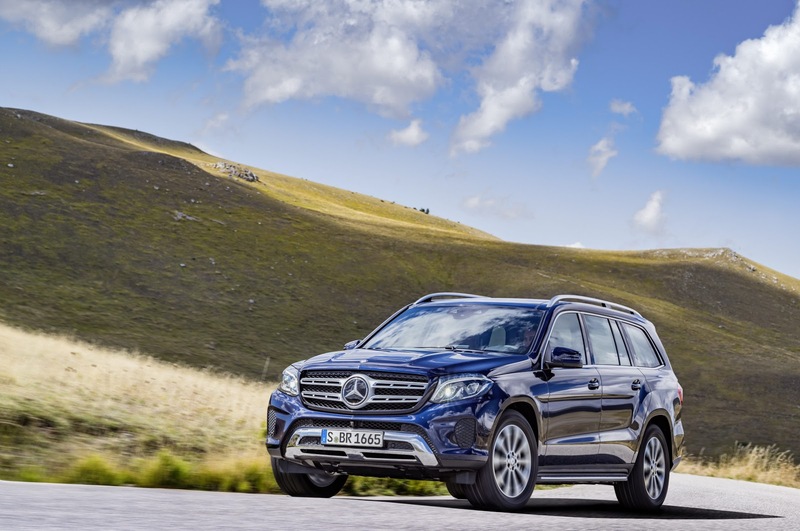 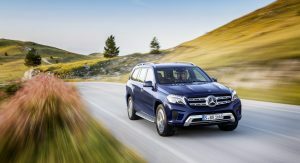 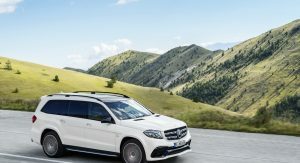 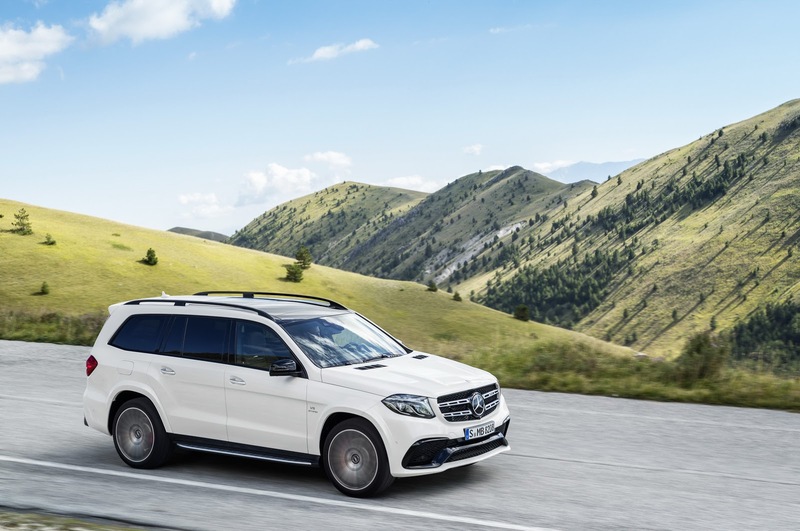 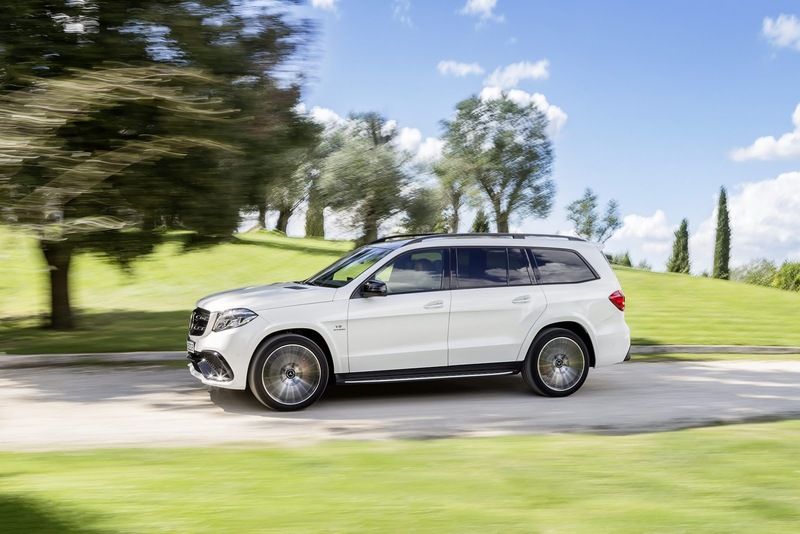 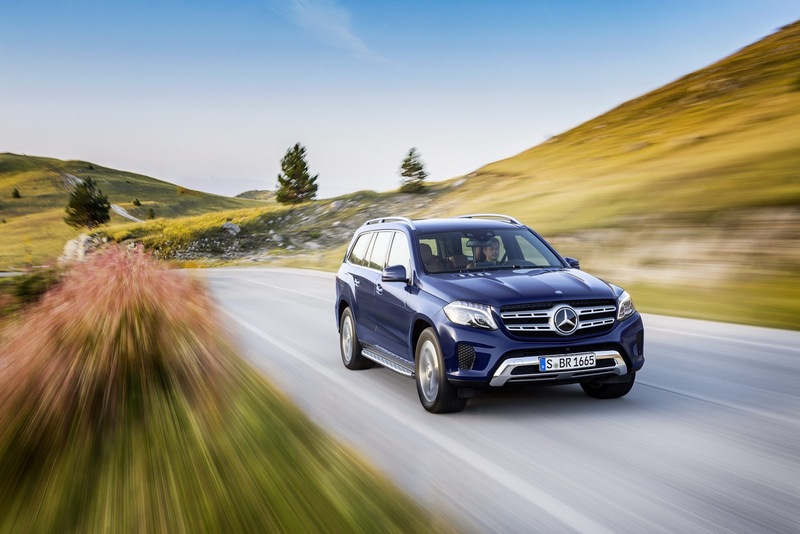 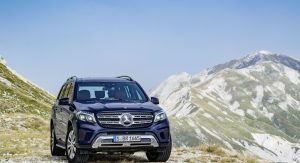 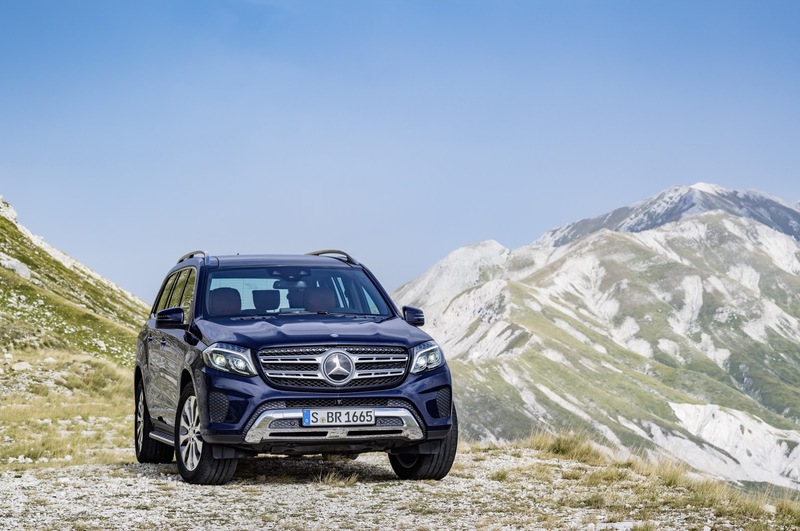 The mid-cycle refresh of the GLS follows closely in the footsteps of its shorter brother, the also renamed GLE that was introduced earlier this year. 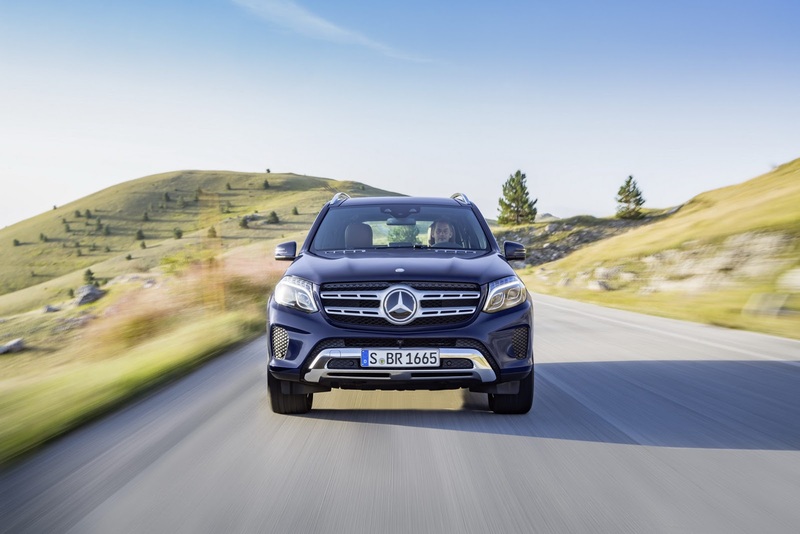 It may carry a different moniker now, but truth is, not much has changed on the outside over the outgoing GL. 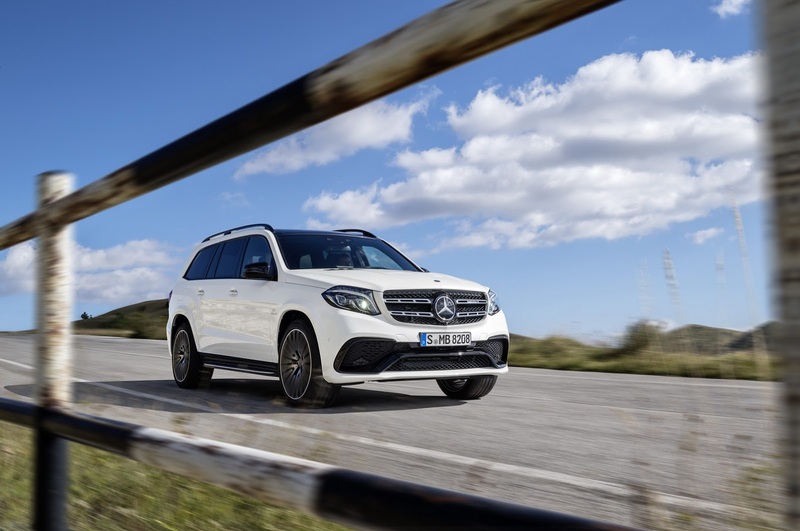 Up front, there’s new grille with a more prominent three-pointed star that led to the redesign of the headlamps, plus a new bumper, while at the back, Merc gave it new tail lamps graphics and a tweaked bumper. 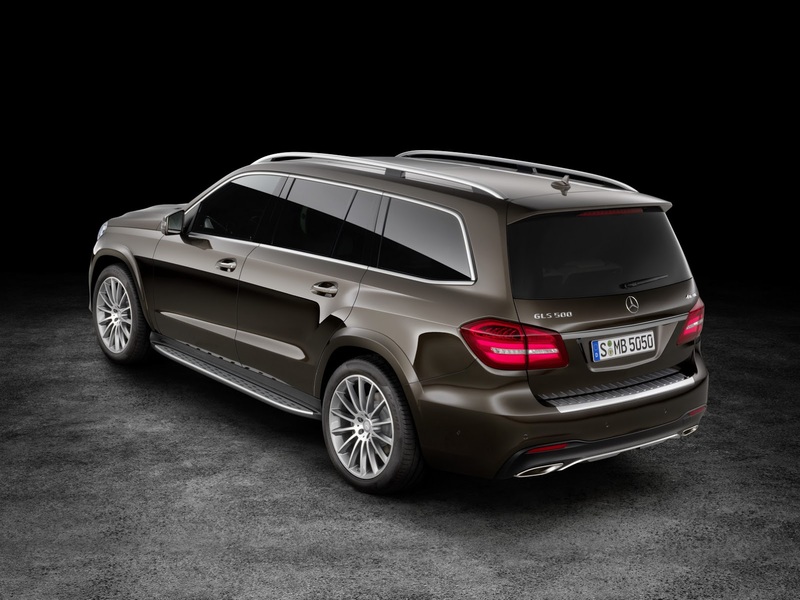 New available colors and fresh alloy wheel designs complete the exterior revisions. 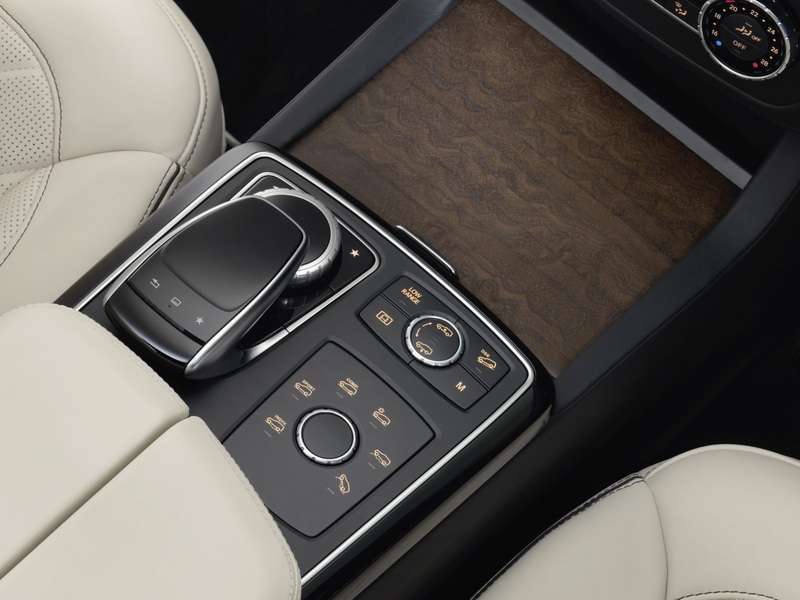 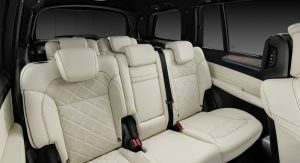 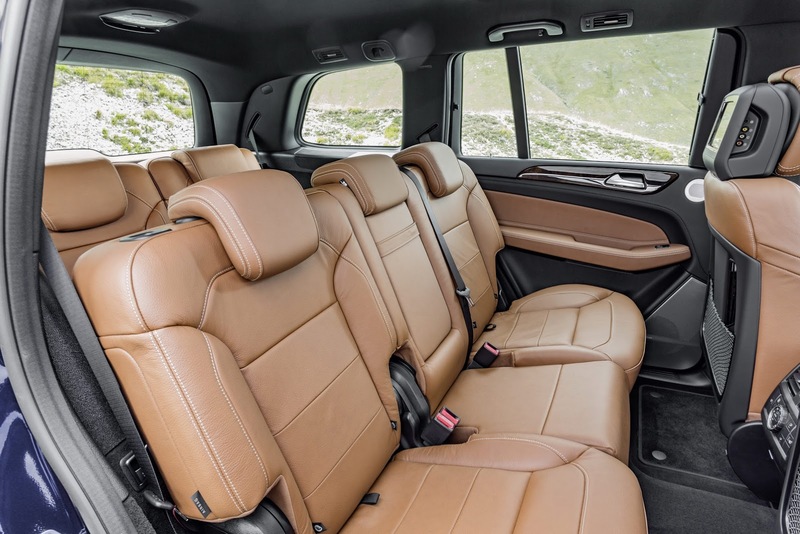 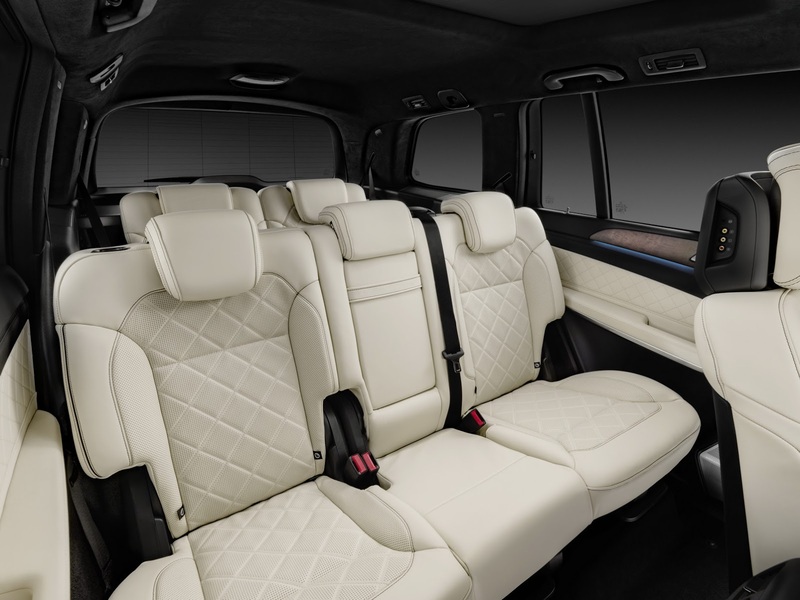 Inside, where the GLS continues to offer seating for seven, the most noticeable change is the new center console that ditches the integrated infotainment screen for a free-standing, tablet-like monitor that can be controlled through a new touchpad placed between the seats. 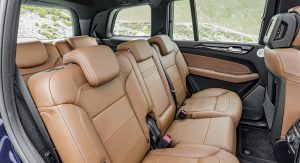 There’s also a newly styled 3-spoke multifunction steering wheel, an updated instrument binnacle, and fresh trim options such as the designo Exclusive nappa leather package. 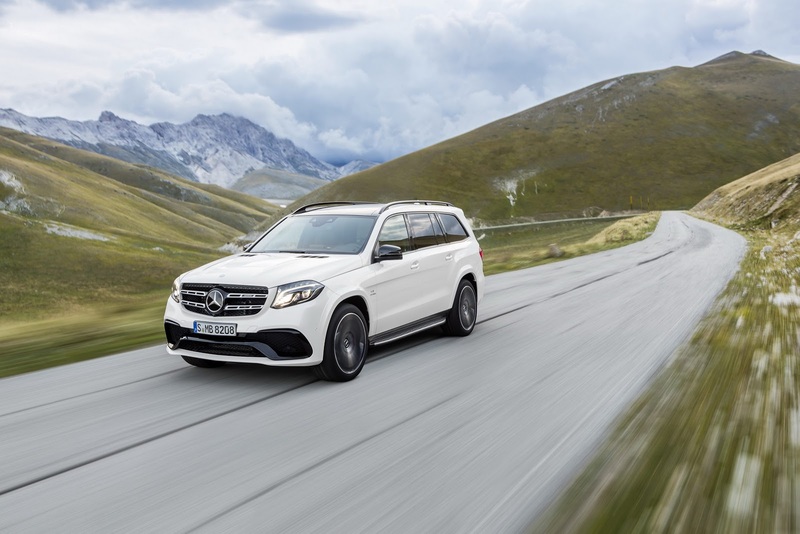 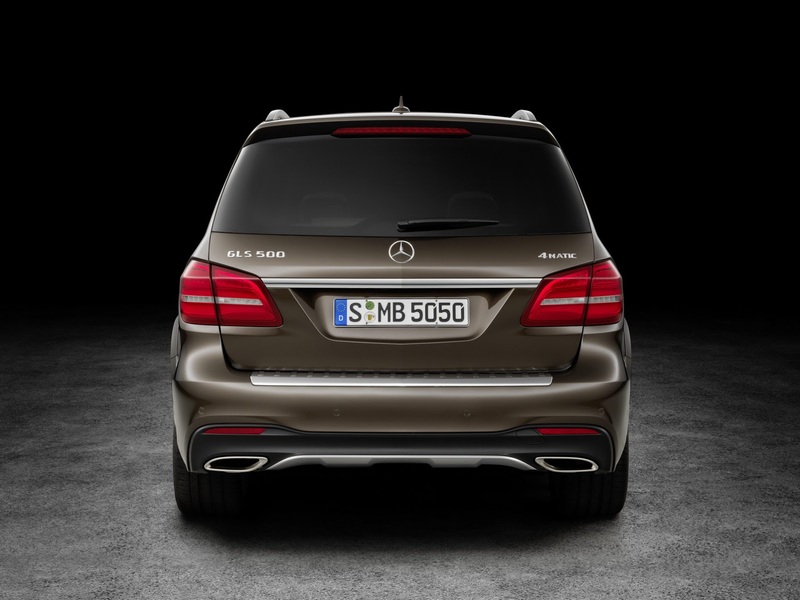 Improvements were made under the hood too, with the GLS550 4MATIC’s (called GLS500 in Europe) twin-turbo V8 gaining 20hp for a total of 449hp and 516 lb-ft, and the range-topping GLS 63 AMG’s V8, an increase of 27hp over its predecessor reaching 577hp. 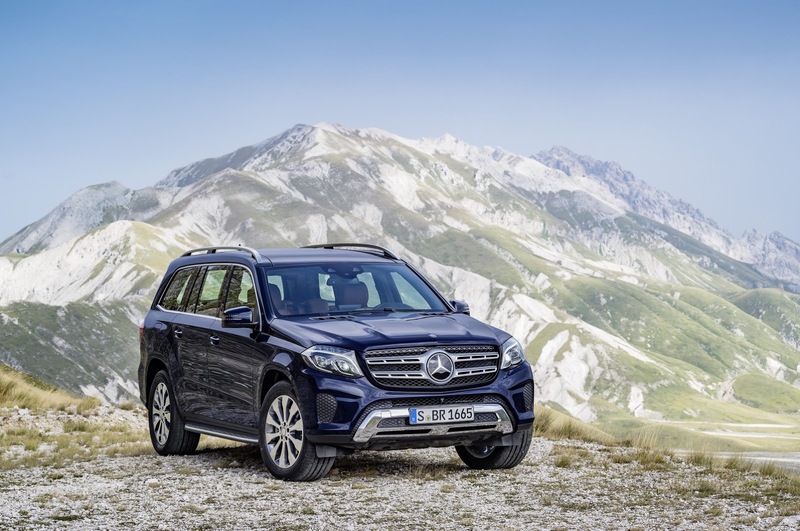 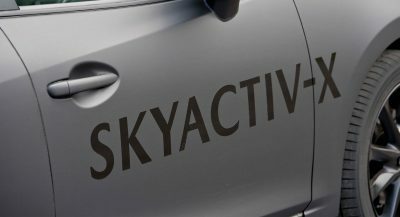 North America also gets the base GLS 450 with a 362 hp and 369 lb-ft 3.0-liter V6 turbo, and the GLS350d 4MATIC with a 255hp and 455 lb-ft V6 diesel. 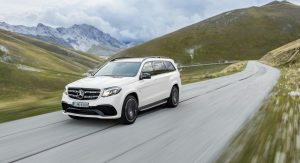 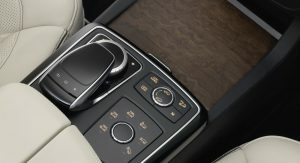 With the exception of the GLS 63 AMG that connects its V8 to a revised AMG SPEEDSHIFT PLUS 7G-TRONIC transmission, all other models in the range feature the nine-speed 9G-TRONIC automatic transmission as standard, and optionally paired to a low-range gearbox and center differential lock. 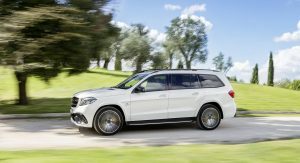 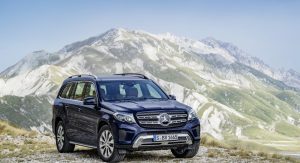 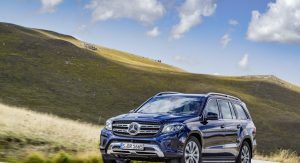 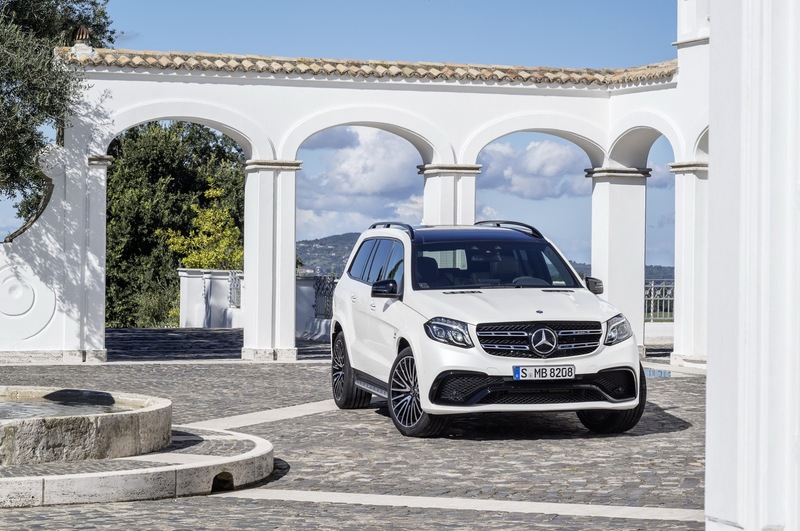 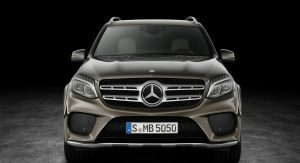 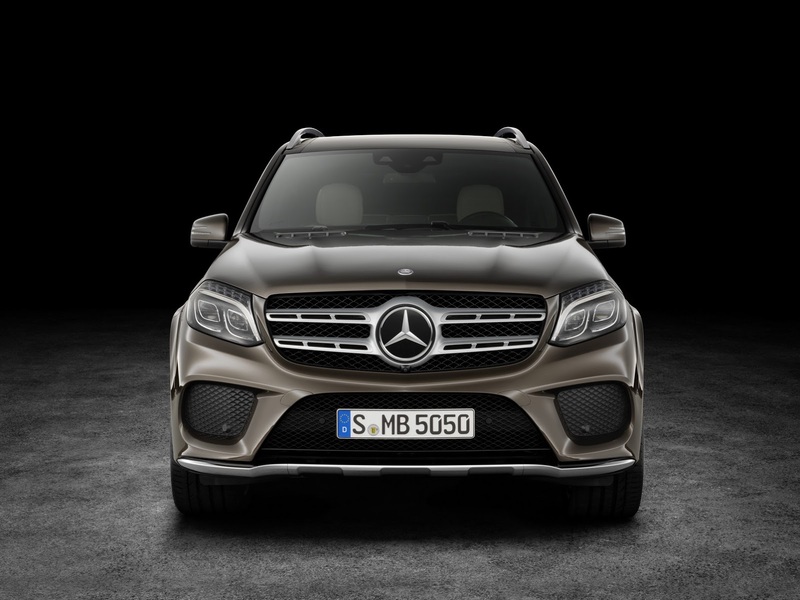 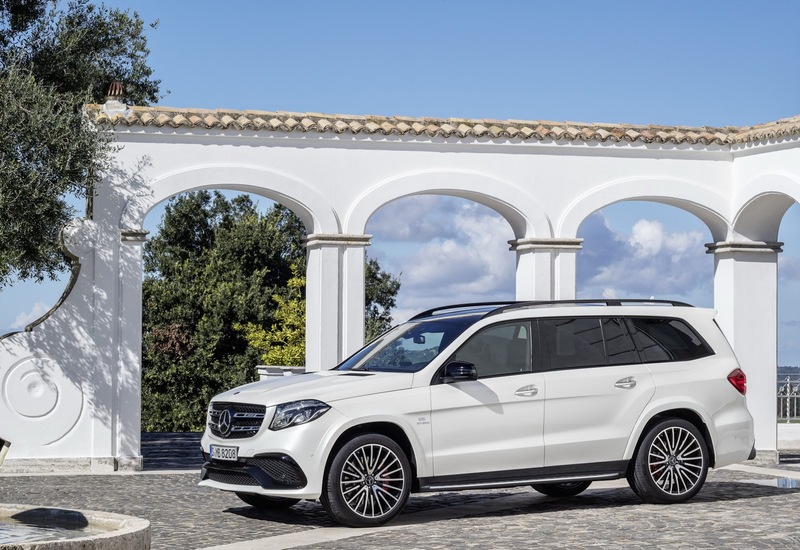 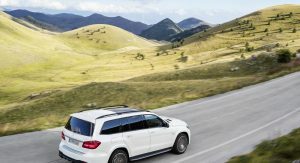 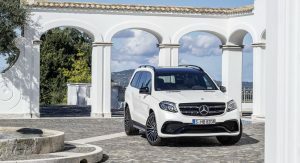 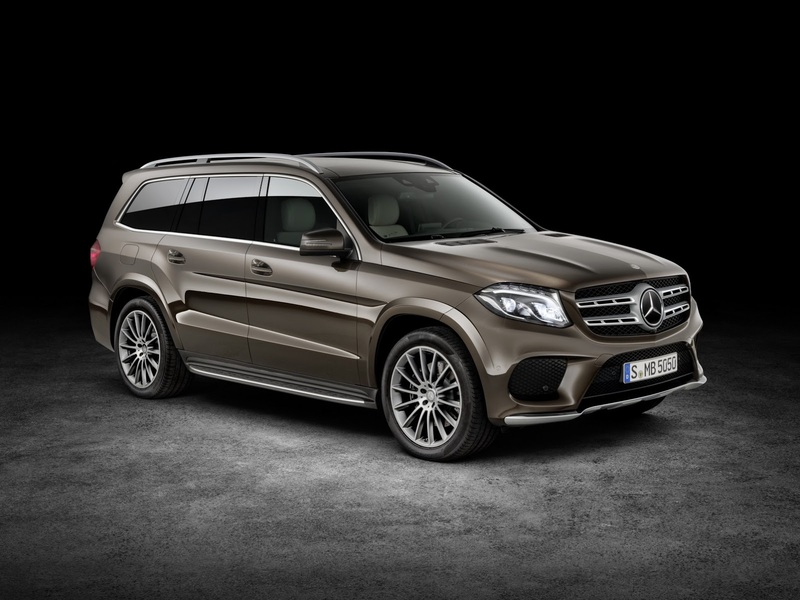 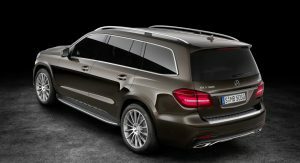 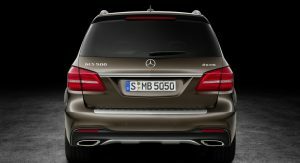 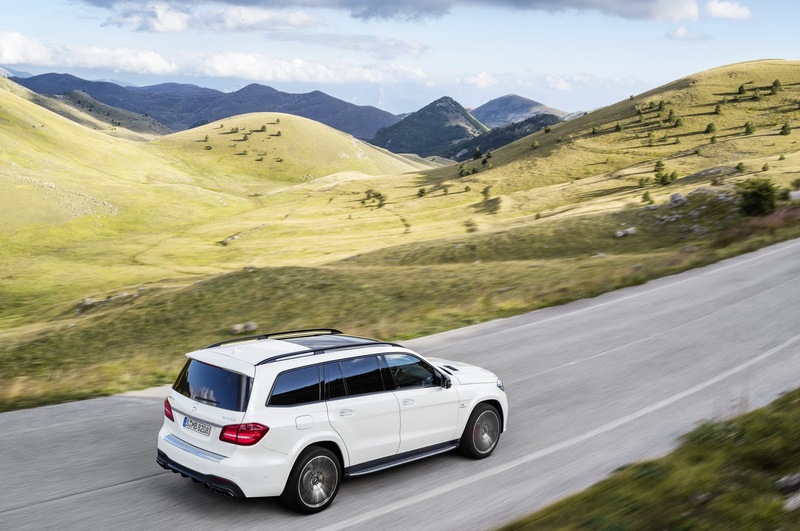 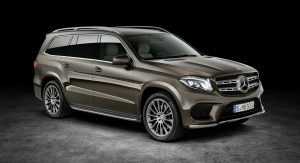 Mercedes will debut the 2017MY GLS at this month’s LA Auto Show and begin taking orders, at as of yet, undisclosed prices, from December 2015, before delivering the first models to US customers from late-March 2016.